Did you know that we also offer private tours? Whether you’d like a private van tour for your group, private walking tour, or a VIP tour in a luxury SUV or limo (or even a helicopter) OnBoard Tours can help. You choose the pick-up location, itinerary and start time. 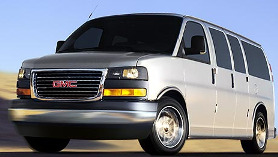 We’ll provide you with a licensed tour guide and comfortable climate controlled transportation. And remember, if you see something you like on your tour… just yell STOP! Our Tour Guides and drivers are ready to change on a dime per your requests. Refund Policy: In an effort to keep our prices low all sales are final. If you’re uncertain of your travel plans and feel they might unexpectedly change, please purchase our optional Tour Insurance.